If you’re planning on putting a lot of your stuff in self-storage, consider having a garage sale first. This will help you declutter so you’re not hanging on to anything you don’t need, meaning your self-storage unit will be more organized and easier to manage. Plus, you’ll make a little extra cash as a bonus! 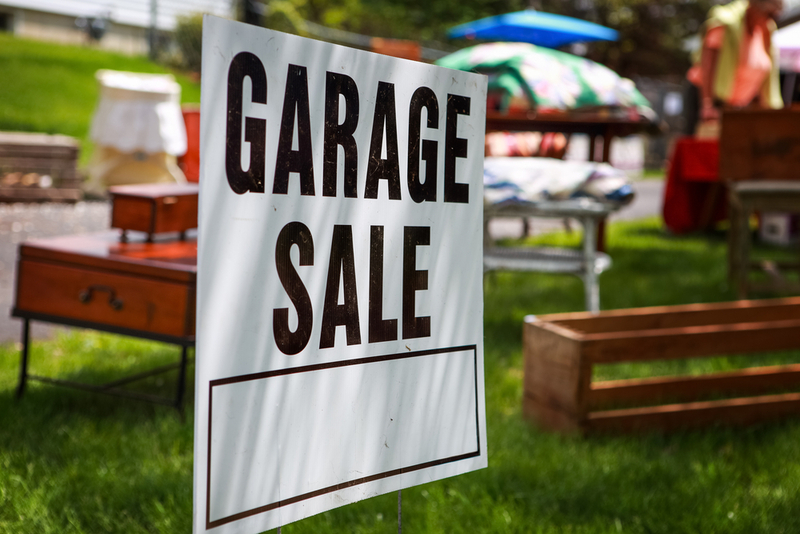 Today in the Affordable Family Storage blog, we’ll discuss the best way to organize a garage sale. Obviously, the first step to any garage sale is finding what items you plan on selling. When going through your stuff, separate it in an organized manner so it's easier to set up when you’re ready for your garage sale. Also, make sure you make a box of “free stuff” if you don’t think something has any money-making potential but you still want to get rid of it. Unless you’re on a street with heavy traffic, people won’t be coming to your garage sale unless they know about it. The best thing you can do is hang up signs where people can see them, directing them with arrows as to where the garage sale is. If you’re a member of any selling groups on Facebook, you might consider making a post there. Also, it’s best to hang up your signs early in the week, so people know about it. Just make sure the sign specifies what day or days the garage sale is being held. When you’re going through your stuff and pricing it, make sure you’re pricing it to sell. Remember, you’re trying to get rid of your stuff so you don’t have as much clutter in your home and self-storage unit. The extra money is nice, but that shouldn’t be your main focus. Price things a little more than what you’d take for them, and then let people negotiate with you. When it’s finally time for the garage sale, it’s time to set everything out. Use tables for most of your stuff, and racks for any clothes you’re selling. Make sure your stuff is laid out in an organized manner so it’s easy for customers to browse. Garage sales are a great way to get rid of clutter and things you don’t need. For all of your other stuff, there’s self-storage at Affordable Family Storage. If you’re in need of a self-storage unit, we have a variety of options available for you. We offer a variety of size options, as well as climate-controlled units. For more information, contact Affordable Family Storage today.